The men have been allegedly harassing the girl and passing lewd comments for months. 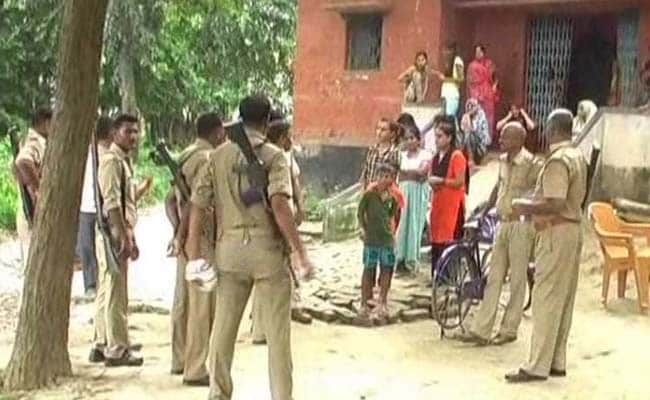 A 17-year-old girl was murdered allegedly by four boys from her village in Ballia, a district in eastern Uttar Pradesh, this morning. The family claims they had been stalking and harassing her for more than six months. They have refused to cremate the body till action is taken in the case. The girl was cycling to school when the four men -- one of them the 22-year-old son of the village head - allegedly pursued her on two motorbikes. When they caught up with her, they allegedly pushed her to the ground, slit her throat with a knife and escaped. The police say they have arrested Prince Tiwari, the son of the village head. The three others are absconding. "The girl's throat had been slit with a sharp weapon. We will make arrests very soon in the case," said Vijay Pal Singh, a senior police officer of the district. The family says the harassment has been on for more than six months. "There is a hand-pump outside my house. They used to come and sit there and pass lewd remarks against my daughter. We should have done to the police," her mother said. A few days ago, they had complained to the village head and had been assured that the harassment would stop. The teen had initially stopped going to school, but eventually decided to attend classes. "My father had asked her not to go to school, but she objected, asking for how long could she afford to miss school," said her 14-year-old sister. The murder took place as a case of attempted kidnapping has hit the headlines. In a Facebook post over the week-end, 29-year-old Varnika Kundu, a Chandigarh-based DJ and the daughter of a senior bureaucrat, alleged that she was tailgated and chased through Chandigarh at night by two men. They chased her for nearly 10 km, blocked her car, banged on her window and attempted to open her car door. She said one of the men was Vikas Barala, the son of Haryana BJP chief Subhash Barala. "I'm lucky, it seems, to not be the daughter of a common man, because what chance would they have against such VIPs? I'm also lucky because I'm not lying raped and murdered in a ditch somewhere," she wrote in the Facebook post, which has been widely shared.